If you are an enthusiast professional working in the field of DevOps then you must be knowing how difficult it is to speed up the delivery pipeline. If you will have a speedy delivery pipeline then your business can grow manifolds and client will be extremely satisfied with your performance. But have you ever imagined, how would you actually speed up the delivery pipeline? There are many factors involved in it like blockers, wait time involved which can be altered to get a frequent delivery on the pipeline. If you have a CI/CD pipeline set in your project which flows from a source point as source control repository and end point as product and it happens in an automated way, then you are all ready to speed up the pipeline and increase the business. But first, you should know why your delivery pipeline is so slow. Let’s look at some probable reasons which are making your delivery pipeline slow and it is impacting business badly. Treating your infrastructure, not as an artifact: You should treat your infrastructure as an artifact. Machines should be handled in such a way that if some failures are detected in the machines then they should be resolved at build time and not the run time. It would be addressed the same way as you address your software bugs. Consider the machines and infrastructure the same as you treat your code base and this is what is called IAC. Not stitching big data applications to the workflow: If you think that big data applications are quite complex and they cant be stitched to the workflow then you are absolutely wrong. You can simulate data dependencies in workflow path using CI/CD tools like Jenkins. When you do some injection of data then setup and teardown should be properly done so that the system gets back to the same state as it was earlier. You can have predictive analytics inbuilt in your pipeline so that you can be well aware of the future outcomes in advance. 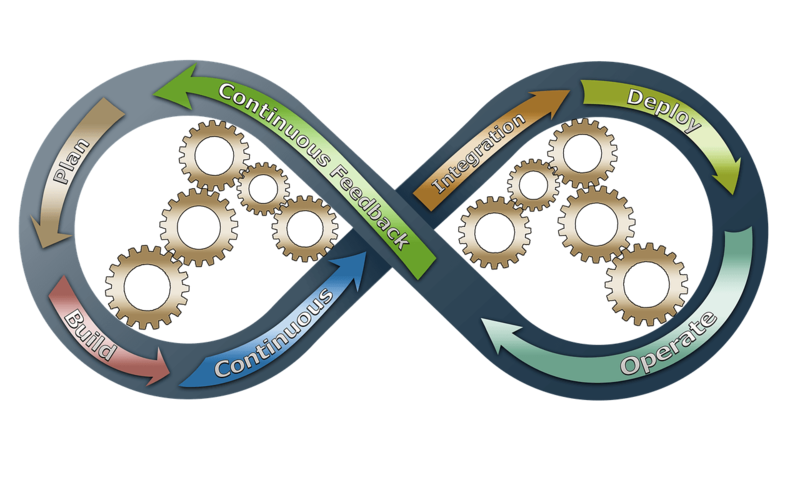 Avoiding continuous delivery of databases: Databases are so complex hence DevOps enthusiast think that they can’t be continuously delivered. The days are gone when you need a manual help to do the scheme creation and data injection. Every object type in the database can be continuously delivered as the resource creation and other tasks are being done. Various commands of the database can be controlled using ChangeLogs and ChangeSets functionalities available in DBMaestro Teamwork tool. Highly coupled architecture: If you are having a CD pipeline but along with that, you are having highly couples architecture then it can badly impact the delivery pipeline. You should have low coupling and high cohesion to increase the delivery of the pipeline. Now, you know that what are the blockers which are impacting the speed in your delivery pipeline. Let’s see the tips which can help you in increasing the speed of the delivery pipeline. Treating the delivery pipeline as a product: You should not consider the delivery pipeline as a set of tools but you have to consider it as a product which you have to deliver it to a customer. You can have a product owner for the pipeline who will actually own the funding in case of adversaries just as you do when delivering a product. You should select the best product for your CD pipeline You can have some standard integration pattern and technologies to integrate tools in a perfect way with the pipeline. Last but not least would be using model-based integration so that the work-flow isn’t disrupted when another tool is integrated into the pipeline. Just as if you are using Jenkins as a continuous integration tool but if you want to move to bamboo, model-based integration won’t add any problem to work-flow. Streaming process for delivering good product value: You can have organized teams which deliver business value so that customer would get good product value. You can even look for some effective ways to get rid of all the wait times involved by implementing concepts like APIs and web services. You should make the work-flow items visible in the delivery pipeline so that you can actually figure out what is the component which is actually putting weight to the pipeline. You should know the processing and wait time involved in different processes and troubleshooting the processes which are taking more wait time will help you in figuring out the bottlenecks. Reducing latency: You can have Devops automation services and self-service capabilities inbuilt with the delivery pipeline and the delivery pipeline will get speedy. You should avoid so many branches as it affects the lead time. You should shorten the age of the branch so that the team time gets substantially reduced and try to push the code to directly trunk. In this way, you will be able to reduce latency. Predictive analytics inbuilt in your pipeline: You can have predictive analytics inbuilt in your pipeline so that you can be well aware of the future outcomes in advance. It will take the help of historical data and it will track the process which will eventually take up more time as compared to usual. You will be able to streamline the process in advance than the time when you would get to know later and this would disrupt the whole delivery pipeline. It will help in avoiding all the bottlenecks and your delivery pipeline will get speed by 10x times. Believe me and start applying predictive analytics in your delivery pipeline. So, now you got to know the factors which are bottlenecks in the speedy delivery pipeline. You can take care of them and make your delivery pipeline a bit faster and it will eventually help in delivering the product very faster. The customer would extremely be satisfied with the progress. Also, you can follow the tips provided by us and it would definitely be a boon in increasing the speed of the delivery and don’t forget to apply predictive analytics which would revolutionize the DevOps domain. All the best ! !